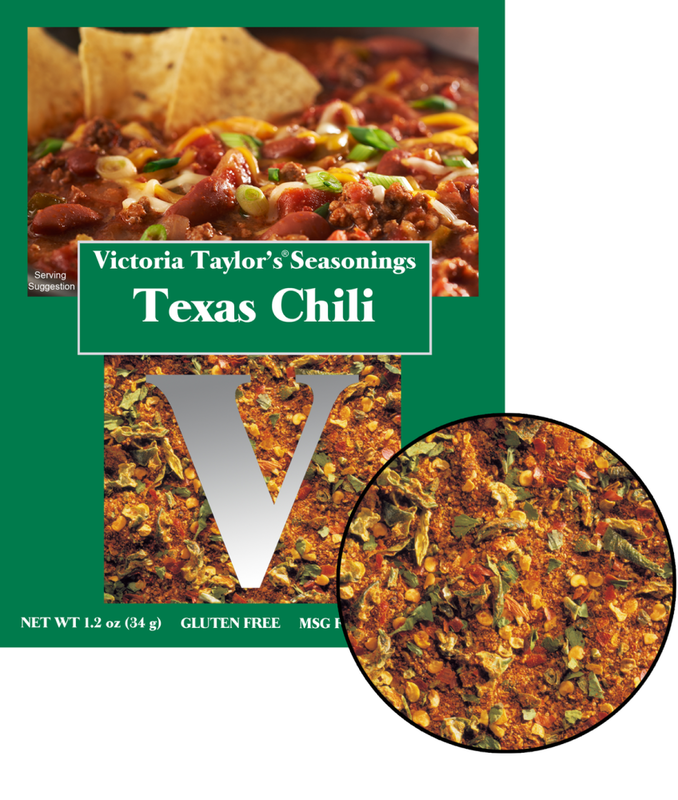 Victoria uses a variety of peppers and chiles (including jalapeño) as well as cumin, garlic, onion and herbs to create her Texas Chili seasoning. This is a low salt seasoning blend. This is a single use packet designed to make the recipe for Texas Chili which is included on the back. Ingredients: Spices including paprika, dried garlic and onion, salt, jalapeno pepper, corn meal, maltodextrin, dried cilantro, grill flavor (from partially hydrogenated soybean and cottonseed oil), modified corn starch, corn syrup solids, natural smoke flavor.